Can Trump finally end Pakistan's double game, win Afghan war? The multi-billion China-Pakistan Economic Corridor (CPEC) project in Gwadar port off the coast in Pakistan could be under threat if a catastrophe strikes the region, according to experts. Gwadar, which is located close to the Makran Trench, last saw a huge earthquake of 8.1 magnitudes in 1945, which triggered a tsunami that battered Iran, Pakistan, Oman and India and killed around 4,000 people. The trench is the meeting point for two tectonic plates. To prevent such a catastrophe, a team of 40 researchers from China and Pakistan boarded the Experimental 3 vessel for the trench last month and did a 'CT scan' (geological survey) in the region. However, not much is known about the zone, the South China Morning Post reported. The Gwadar port has been leased to China for 40 years and any potential disaster in the area could undermine Beijing's ambitions to revive the ancient trade route from China through Asia to Africa and Europe. The CPEC project is also a part of China's 'Belt and Road Initiative', a vast infrastructure and trade programme to project China's infrastructural dominance abroad. Seismologist Yang Hongfeng, from the Chinese University of Hong Kong, said scientific expeditions in the region were quite rare. "A lot of important scientific questions remain unanswered. The results will definitely advance our understanding, [while] providing critical data to reduce the risk in the region," Yang said. The expedition is being done to have a better understanding of the subduction zone. According to scientists, this is quite unusual since it has a thick deposit of soft sediment several kilometres below the Earth. Asif Inam, the director general of National Institute of Oceanography (NIO) said, "The expedition is a joint effort by the South China Sea Institute of Oceanology in Guangzhou and the NIO in Pakistan. It is funded largely by the Chinese government-funded Chinese Academy of Sciences". "The information and data being collected during the expedition would make a significant contribution to coastal developers and planners," he added. Meanwhile, the threat of an earthquake or tsunami near Gwadar port is a major concern for both the countries. "There's a whole lot at stake. 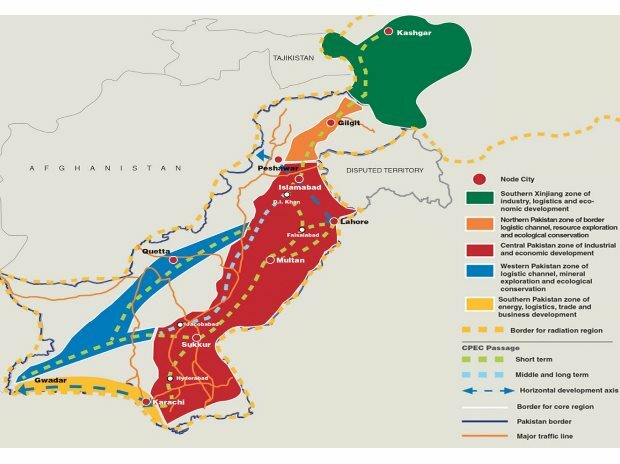 The port, if fully developed and operationalised, can be a critical asset for Pakistan, and there's no nation that Pakistan would be more comfortable entrusting it to than its close friend China," Michael Kugelman, said a senior associate for South Asia at the US-based think tank Wilson Centre. Kugelman said the destructive impact that an earthquake or tsunami could have on the operations of the port should not be overstated, given that actual operations were still limited. "Still, given issues of proximity and general vulnerability - Pakistan doesn't cope or respond well to natural disasters, given a lack of resources and incapacity - there's certainly reason to believe that intense earthquake activity would pose a clear and present danger to Gwadar," he was quoted as saying in the report. India is already against the CPEC project since it passes through the disputed Pakistan occupied Kashmir (PoK) region. Reports of China's proposal of building a second overseas military base could create more headache for New Delhi. "China, India, and Pakistan are on a collision course. This isn't to say we're about to see conflict, but escalations in tensions are highly likely as China steps up its activities in the region, and particularly in Pakistan", Kugelman said.